Here is some news to get excited about folks! 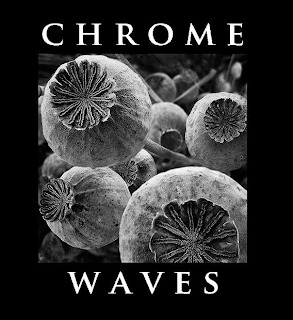 Chrome Waves is an experimental project from the minds of Bob Fouts (Gates of Slumber), Jeff Wilson (Nachtmystium), and Stavros Giannopoulos (The Atlas Moth). All gentlemen from bands I dig (and I'm pretty sure you dig too)! Chrome Waves lay a melancholy and doom-laden foundation stitched to Floydian atmosphere and adds Stavros' signature vocals. 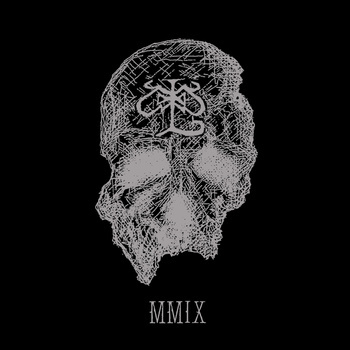 They are currently streaming four tracks from the upcoming album at soundcloud. Stay tuned for news about the album and its release date, which I hope is sooner than later. Megaton Leviathan... has to be enormous, gargantuan, even colossal. One simply does not entitle a musical project 'Megaton Leviathan' without having significant weight in content, aspirations, and well... being loud! Well, Andrew Costa and Chris Beug know a thing or two about 'delivering the goods', but these aren't your run of the mill doomy goods. Here on their 2009 EP, Megaton Leviathan haunt us with their shoe-gaze enriched psychedelic doom. The sonic resonance of these thirty five minutes is trance inducing, leaving us wondering, "Where am I?" and "How the hell did I get here?". Check out the final track 'Time Fades' below and if you dig, head over to bandcamp to lose yourself in this astral approach to doom metal.